Much as the iPhone X brought an OLED display for the first time, the MessagePad 2000 introduced a major upgrade to the Newton display. Of course, in 1997 that did not mean the arrival of ultra-sharp OLED. Instead, the Newton simply gained a higher-resolution screen (480 by 320 pixels, compared to the previous model’s 320 by 240). In addition, the screen grew by 20 percent, measuring 4.9 inches by 3.3 inches, yielding a 100 dpi display. While not color, the MessagePad 2000 for the first time offered 16-level grayscale pixels rather than the simple black or white two-tone of predecessors. The processor got a major upgrade as well, with a 160 MHz StrongARM 110 CPU that made it many times faster than previous Newtons while using just one-quarter the power. This meant the MessagePad 2000 could deliver more than 24 hours of continuous battery life. On top of this, the upgraded Apple PDA packed neat features like dual-mode IrDA-beaming capabilities, which allowed Newton users to wirelessly exchange information with one another. And of course the Newton’s stylus-based handwriting recognition. As far as software went, the MessagePad 2000 came bundled with a calendar app called Dates, a to-do list app called Notepad, a contact manager called Names, faxing, EnRoute i-NET email client, NetHopper web browser, Newton Works word processor and more. For an extra $50, you could buy a spreadsheet app, too. Wondering how the MessagePad 2000 got online for email and internet access? This could be achieved by connecting a modem into one of the PDA’s pair of PC Card slots. The Newton MessagePad 2000 came in this box. 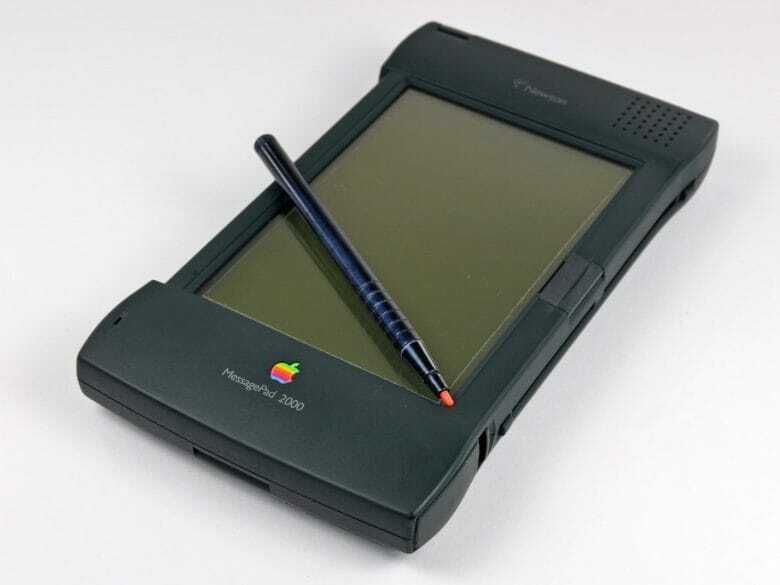 As I’ve noted before in “Today in Apple history,” the Newton MessagePad is criminally underrated as a product line. People frequently write it off as a failure — quite unfairly. In fact, the MessagePad 2000 showed that the Newton was truly coming into its own. The Newton had been more than usable since at least 1995, when the Newton MessagePad 120 launched in the United States. Around that time, Apple also released the vastly superior NewtonOS 2.0, which solved many of the problems with handwriting recognition that plagued earlier models. With its massive boost in power and superior display, the MessagePad 2000 was the best Newton yet. It proved incredibly popular with customers. And that finally laid to rest the notion that the Newton was a commercial bomb. Prefiguring the later popularity of the iPod with non-Mac users, an estimated 60 percent of MessagePad customers used Windows computers. For true believers in Cupertino, it provided proof positive that a mobile revolution was truly underway. In fact, Apple considered the MessagePad 2000 so successful that the company spun out the device as a separate startup, called Newton Inc. Sadly, the Newton became one of the casualties of Steve Jobs’ return to Apple. Given that he needed to cut costs, and that refocusing on the Mac resulted in the massively successful iMac G3 and iBook, it’s hard to say killing the Newton was the wrong decision. Still, it seemed a shame at a time when the MessagePad had finally proven itself. 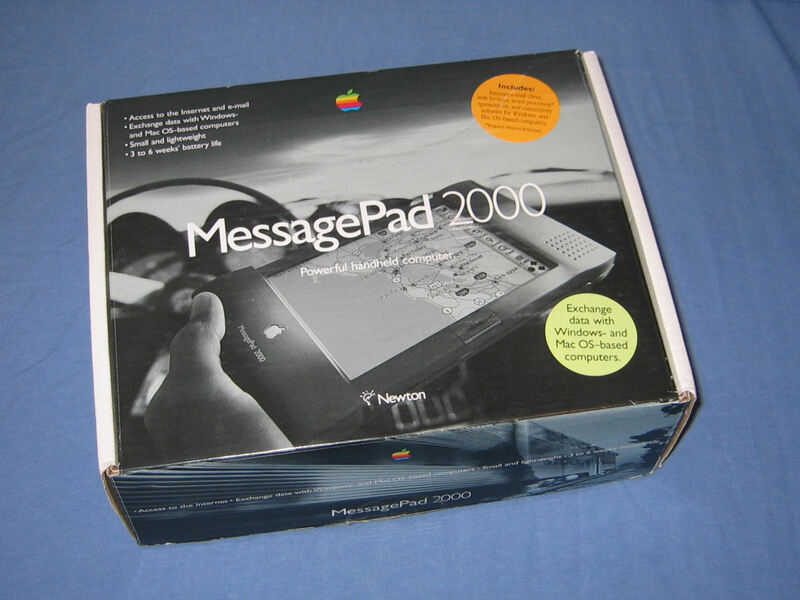 Apple released just one more device in the series, November 1997’s MessagePad 2100. Jobs canceled the product line early the following year. The idea of creating a truly great mobile device didn’t go away, of course. Today, the Newton’s legacy is the iPhone, which makes up the overwhelming bulk of Apple’s revenue. Did you own a Newton MessagePad 2000? Leave your comments below.